This friendly, fun biography series focuses on the traits that made our heroes great--the traits that kids can aspire to in order to live heroically themselves. 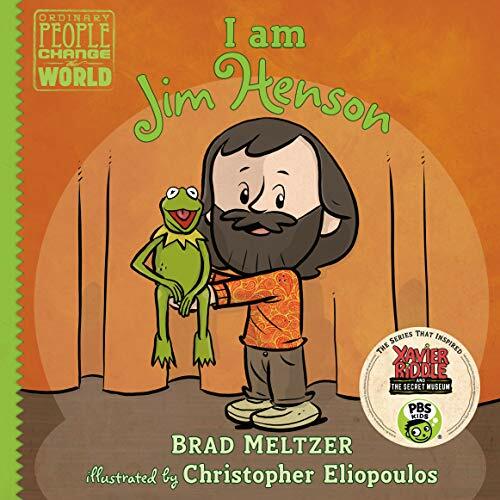 Jim Henson, for example, was always dreaming up something new, and always expressing his belief in the goodness of people. Henson was a born performer with a terrific sense of humor, and he used those talents to help create two of the most beloved programs in television history: The Muppet Show and Sesame Street. Through his Muppets, Jim showed the world that there’s nothing more beautiful than imagination, especially when it’s accompanied by laughter and kindness. Christopher Eliopoulos began his illustration career at Marvel Comics, and has worked on thousands of comics, including Franklin Richards: Son of a Genius, Pet Avengers, and Cow Boy, all of which he wrote and illustrated. He is also the illustrator of The Rabbit Who Wants to Go to Harvard. He lives in New Jersey with his wife and their identical twin sons.